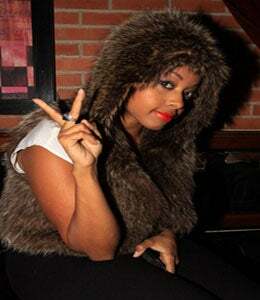 Chrisette Michele was bundled up and fab during her album release party at B.B. King Blues Club in New York City. Her new album, "Let Freedom Reign" will be released Nov. 30th. Chrisette Michele was bundled up and fab during her album release party at B.B. King Blues Club in New York City. Her new album, “Let Freedom Reign” will be released Nov. 30th.